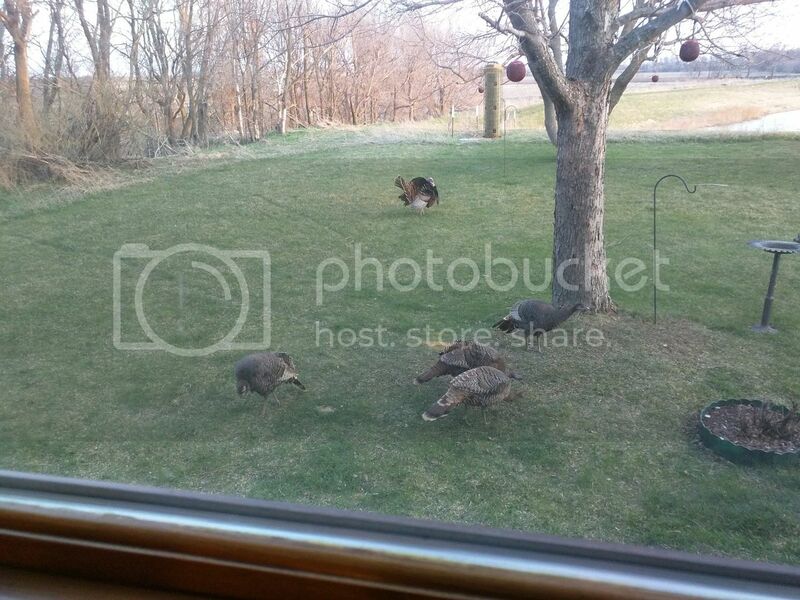 These five wild turkeys came into the back yard and were cleaning up under the bird feeders this weekend. Photos were taken through the kitchen window so not the best quality. Wonderful pictures. 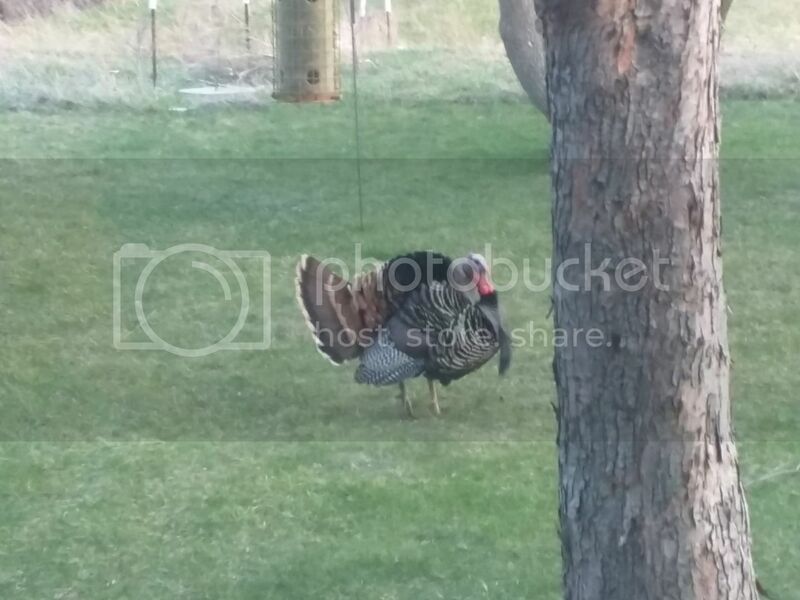 We have wild turkeys too. while they do come in the yard sometimes, they are usually in the field in back of us. IF I can find the photos we took of them I will post them too.